It’s the simple things in life…we have all heard this time and time again, and usually it is true. 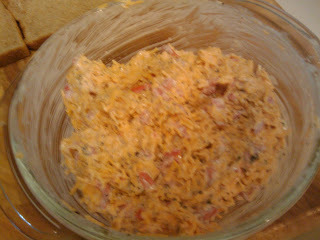 Last night a simple southern staple, pimento cheese, was the thing and boy was it delicious! 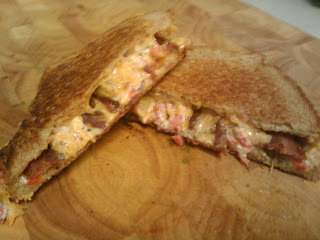 Pimento cheese always makes a great sandwich, but I took it to the next level by adding bacon and toasting it grilled cheese style …I can’t even begin to explain how or why it was so good, but I will give you the recipe so you can become a believer! 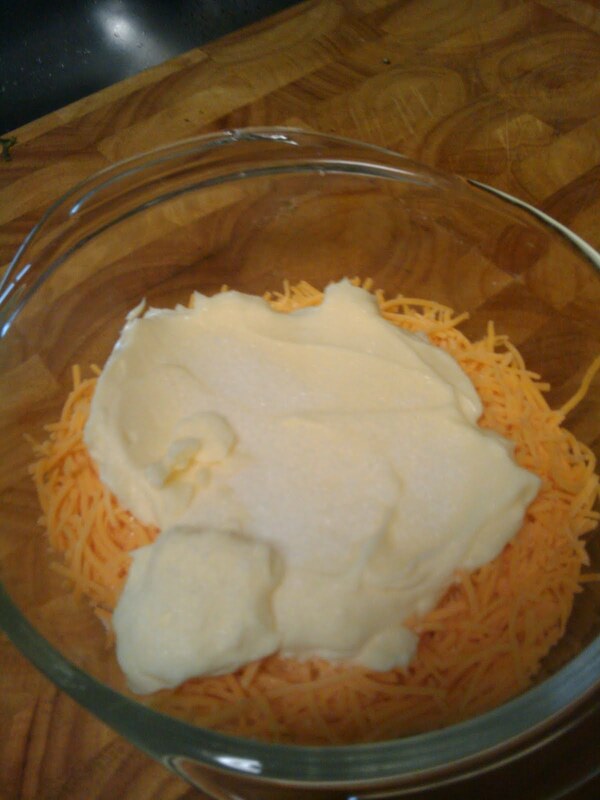 Place cheese in a bowl and cover with mayonnaise, spreading it out to a thin layer. Sprinkle sugar over mayonnaise and let it sit for at least 15 minutes allowing it to cure, which means the mayo will absorb the sugar and the mixture will become sort of a cream color. Drain pimentos and if necessary chop. The pimentos should be small, sometimes straight out of the jar they are very small and other times not so much, just use your best judgment. After the mayonnaise and sugar have cured add the pimentos and black pepper to the bowl with a pinch of salt and mix well. Use immediately or refrigerate for up to 5 days. The sandwich is so simple; I spread some pimento cheese onto 2 pieces of bread then layered bacon on one piece and topped it with the other. I wanted the bacon in the middle and cheese on each side so the sandwich would melt together. I buttered the outside of both pieces of bread and “grilled” it in a skillet for about 4 minutes on each side, just long enough for the bread to get crispy and brown and the cheese to melt…OMG it is just to die for! 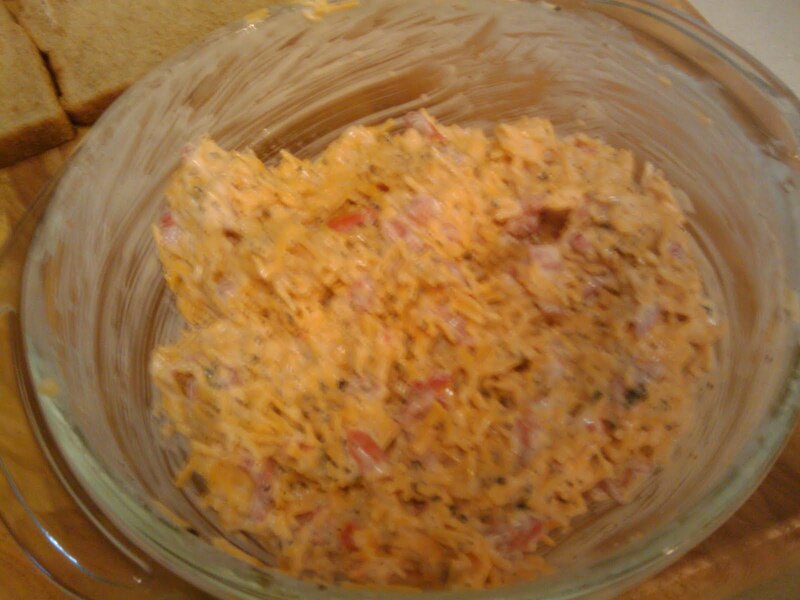 Cooks note – pimento cheese can also be used as a spread with crackers, a filling for jalapeno poppers, a decadent topping on a hamburger or just as a plain non grilled sandwich option…possibilities are endless!